WanderMan: Electric/Induction Stove Tops - Better Than Propane? Electric/Induction Stove Tops - Better Than Propane? Recently, I had to replace the 240 Volt AC electric stove top in my house. The glass surface had cracked at some point and the crack had finally expanded across the whole face of the stove top. Ah well...it did last 25 years, so I got my money's worth. While removing and replacing it with a newer model (still with a glass top) I noticed it could run on either 120 or 240V. Of course, at the lower voltage it wouldn't heat as fast, but would work. What about using these in an RV (without a glass surface obviously!) -- is that possible or even desirable? Or do you prefer a propane gas model? In the old days, electric stove tops were pretty simple, a coil of heavy gauge metal that heated up when you passed electric current through it. You adjusted the temperature by changing the amount of electricity going through the coil. Later on, they began mounting the coils below a glass top so the surface was smooth and uninterrupted. Later still, you were given a choice of traditional knobs or touch controls. All this is great and works well. But what about in an RV setting? First of all, these type of stove tops use a lot of power. Usually between 1000 and 3000 watts of power! That isn't feasible in an RV unless you are going to run a decent sized generator or always connect to shore power. That, in and of itself, would put the kibosh on electric stove tops for RV use. But wait! There is another type that may be worth a look. Induction cook tops are VERY efficient: 84% energy transfer versus, best case, 74% for traditional electric cook tops. The efficiency translates to faster cooking times which reduce the overall energy use. A 2000 watt electric stove element uses about 320 watt-hours to boil 2 quarts of water in about 10 minutes. A 2800 watt induction unit boils 2 quarts in about 5 minutes, using 225 watt-hours. If you reduce the power level to 1300 watts it just about doubles the time back to 10 minutes, so it is a bit more efficient. Compare this to a propane burner. It will do the same job in 8 minutes or so and requires about twice the power overall. Of course, you need to convert from BTU's to watt-hours since it's gas. For me, the replacement would be useless. I rarely have that much power to spare while boondocking and propane stoves require no electricity. I already have a large, frame mounted propane tank on board so I'm good. It is way cool to watch an induction cook top boil water quickly even if you need a ferrous or magnetic bottom on the pot to get the ideal energy transfer. It's also really neat from a technology aspect. That's why I have a portable one. I like to cook in my RV, from simple recipes to complex meals. Breakfast is always a favorite! You can't beat the almost infinite temperature control of a gas valve. You can get close with induction.... Still, not ready for prime time on board my RV. We live in our motorhome about eight months per year. The induction cooktop was the perfect replacement for our propane stove. But, we do not boondock. We liked the induction so much we are installing one at home. I found that the Induction cooktops were the closest i could get to the heat control of a gas valve stove. Though the limitation on type of cookware (or a metal ring) was annoying, it's livable. 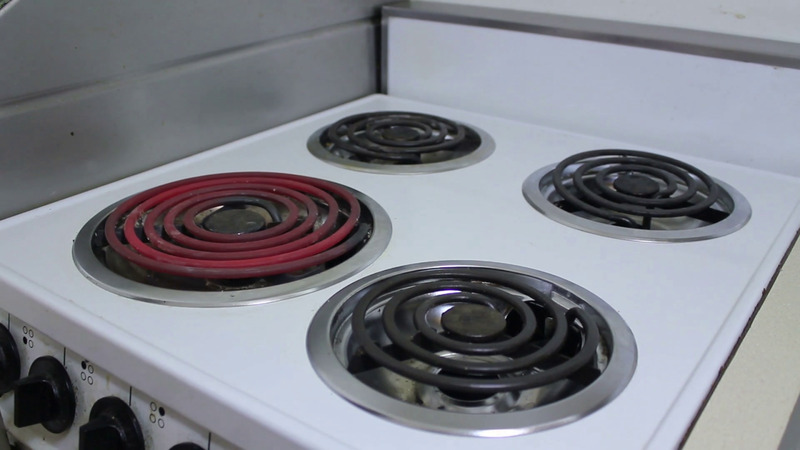 Then there is the safety factor versus electric cooktops and hot surfaces. My problem, like you, is dry camping. Another area of discontent is if I am in a camp ground with quiet hours. Come back to camp after hours for dinner and I have to eat cold food. 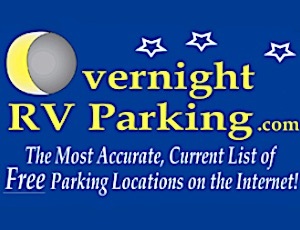 During a summer visit to a National Park, we are usually coming back to the RV after the mandatory 8:00 PM generator turnoff. As a retired chef, I love induction cooking but it does not work for me in a camping situation. The part that really upsets me is that the RV industry is taking away my freedom of choice by only offering induction, much like their decision to only have electric home refrigerators, but that is another subject so don't let me get started. The RV industry is becoming very much anti-consumer. I completely understand. I wouldn;t give up my "vintage" RV for anything on the market new. Better build quality, more thought overall. It's all about features and cost now. Understandable, since manufacturers want to turn a (large) profit. But Give the consumers a choice. If i want propane...let me order it that way. We have induction in both home and RV. We rarely boondock but when we do, and it's time to cook dinner, we just run the generator while cooking. I have found that I can control the heat better than I could with gas - on my home stove (240) - and almost as good in the RV. The RV requires more conscious power monitoring since you cannot send full heat to both burners at the same time. On a scale of 1-10 for power, you can have one burner on 10, two on 5, one on 7 and one on 3, etc. I carry an extra induction burner for those rare occasions when I need more than one burner at full power - and for frying fish outside of the coach! For the chef who likes to cook late when boondocking, may I suggest a couple of free standing propane burners that he could use on those days? Easy to store and transport and that would give him the best of both worlds. I agree, that's why I have a portable one for the times I have access to anything other tan stored Solar Power. It seems like all the 'new' innovations in RV's make it harder and harder for those of us who boondock. More amenities rely on being hooked up to a pedestal, or at the least, run a generator. Boo! So True!!! And the places where we can boondock at all are shrinking fast...sad really. I like to "get away from it all." when i camp. Depressurize.... You know? We took out our gas burner stove and replaced it with two induction burners. Absolutely love them. We rarely boon dock and when we do we mostly BBQ. We also have an older coach. 1997! Love the propane for boondocking and travel, and we have a portable induction burner when hooked up and love it. I do cooking shows all over the West and show people the finest cookware around that works on induction, cooks without using water or oils or grease, and cooks on low temps. Works perfect for us at home and in our RV! We have glass cooktop at home and I feel control is laccking as temp goes, the high end is limited for boiling water for pasta for example. I'm glad rv has propane as its much faster w much more control and the pan can be warped and its still ok. Glass must have flat pans. Try induction, if you want a simple drop in replacement for the standard electric cooktop. Just be aware you need ferrous cookware to use it. We have a 2 burner induction cooktop and love it. We boondock all the time. We have a Magnum 2812 inverter with a 900 amp hour battery bank in our TT AND another Magnum 2812 with another 900 amp hour battery bank in our TV. NO PROBLEM with power. 8K Diesel generator in the TT and 320 amp alternator in the TV. Also have a switched and fused plug wiring system for connecting/charging both systems simultaneously. You have to plan on having the power to do whatever it is that you want to do to support your particular lifestyle.